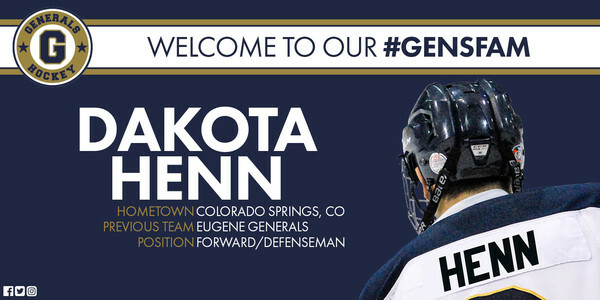 The Eugene Generals are proud to announce the re-signing of Dakota Henn for the 2018-19 season. Henn tallied 9 goals and 4 assists for 13 overall points in 33 games played during the 2017-18 season. 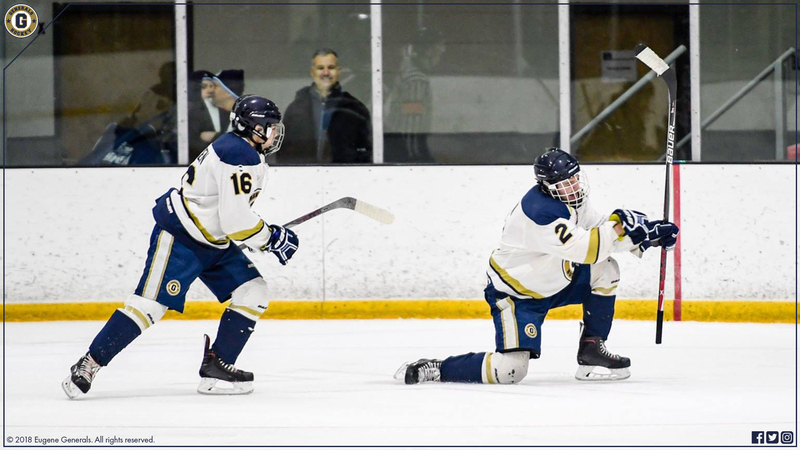 A native of Colorado Springs, Colorado, Henn joined the Generals last season after an impressive high school career at Colorado’s Cheyenne Mountain High School where he tallied 46 overall points in 51 career games. Henn showcased his skill all over the ice during his first season in Eugene as he spent ample time at both forward and defenseman, although the blue line served as his primary home. 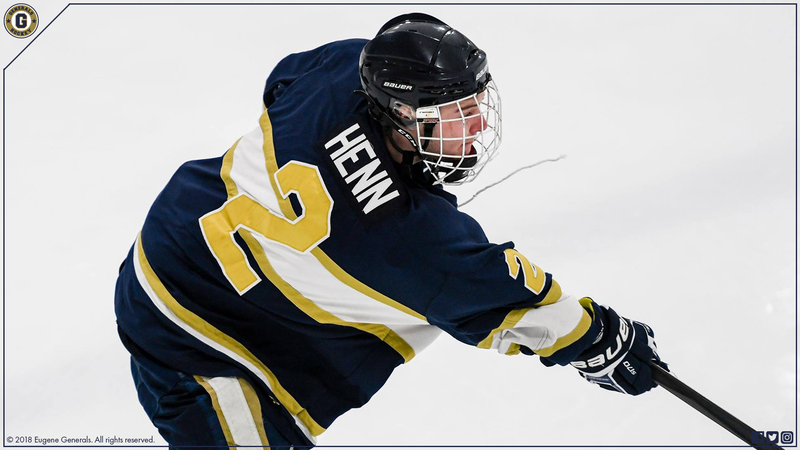 In addition to spending much of the season as one of the team’s top D-men, Henn’s three game-winning goals lead the team as he frequently displayed a knack for showing up big in clutch moments. When looking ahead to next season, Coach Kern had a simple yet strong prediction regarding Henn. "I think he’ll be a very, very scary player for our opponents to face." Henn is the team's third signing in as many days, joining the likes of Nathan Leach and Calvin Hennon who both re-signed with the Generals earlier this week. More signings are anticipated in the coming days and weeks as the Generals prepare for the team's fourteenth season of play. Preparations for 2018-19 continue with the Eugene Generals Training Camp which is scheduled for August 10-13 at The Rink Exchange in Eugene, Oregon. Spots are still available and you can register now at EugeneGenerals.com. Stay tuned to EugeneGenerals.com and follow the team on Facebook and Twitter for information on further player signings and updates ahead of the 2018-19 season.